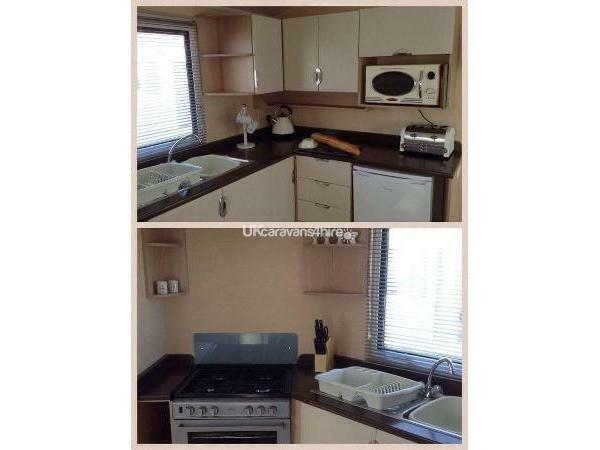 Additional Info: 3 x bedrooms 2 x twins a double.2x toilets and shower room.Gas and electricity included in holiday price. 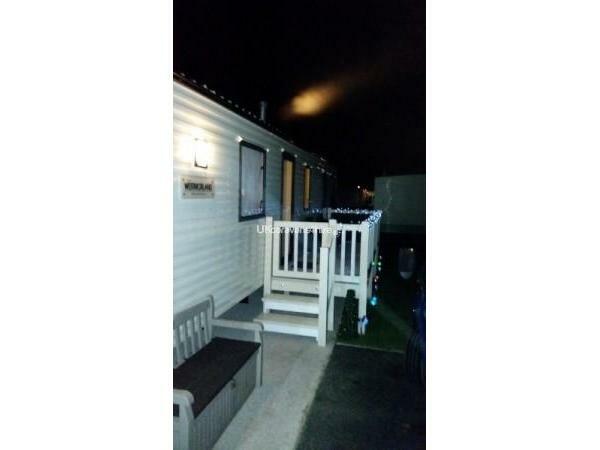 £50.00 bond is required within 7 days of booking to secure your holiday, this is also held to cover cancellation, caravan must be cleaned to a basic standard and no damage to the caravan please and bond is returned once the caravan has been checked after holiday, but not refunded if holiday is cancelled. Full balance due 6 weeks before holiday. 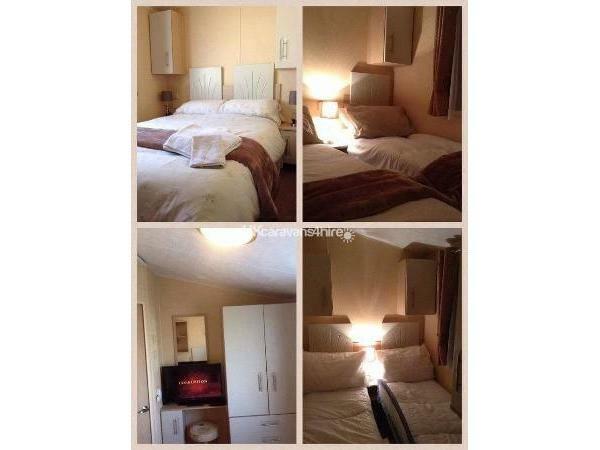 Duvets and pillows provided but you will need to bring your own duvet covers, sheets, pillowcases and towels. Booking enquires can be made by email or txt but to make a booking you will need to telephone me. 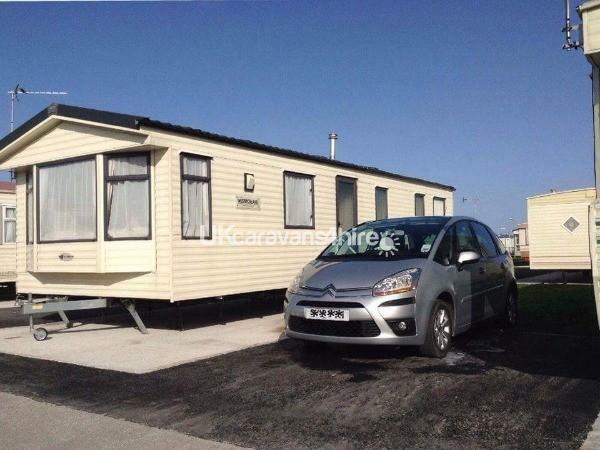 Please tell me how many are going into the caravan along with their ages when enquiring. Please note I only take bookings for Sat to Sat during summer holidays. 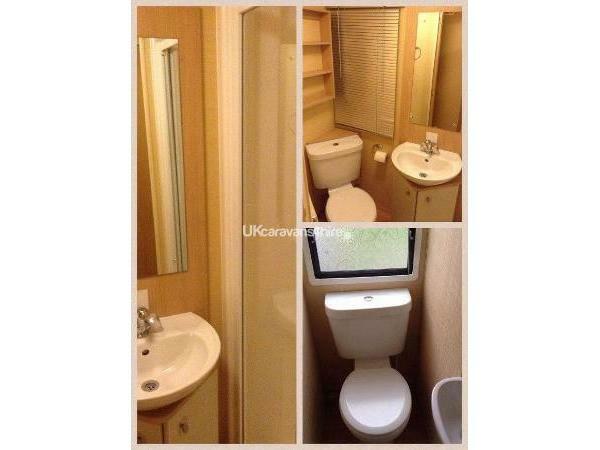 Family owned private 6 berth modern 2010 willerby westmorland caravan for hire includes everything you need for comfortable home from home stay. 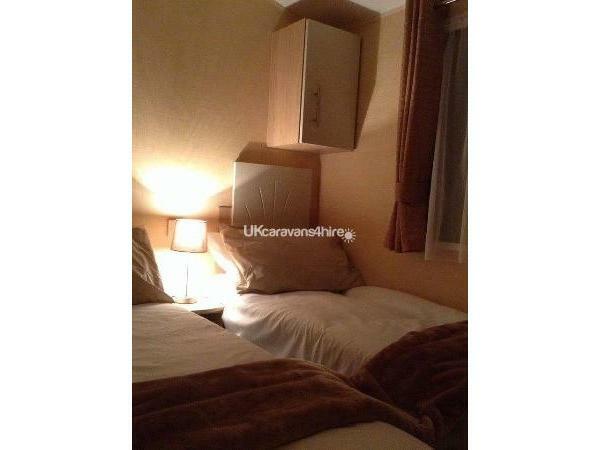 Caravan is close to entrance of park and is in a quiet location too. 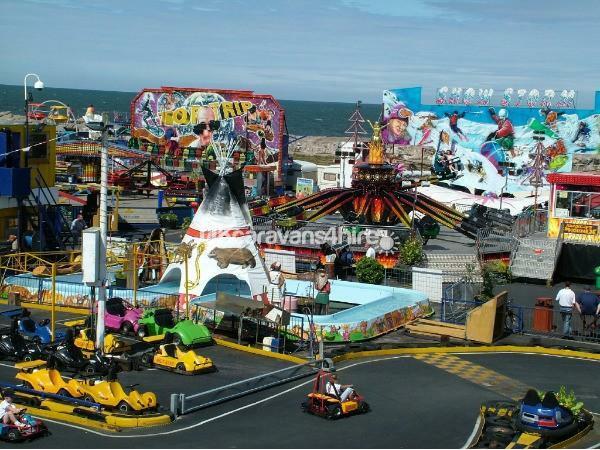 Happy Days Caravan Park is in the centre of town with the sites entrance close to all amusements, shops, takeaways etc . 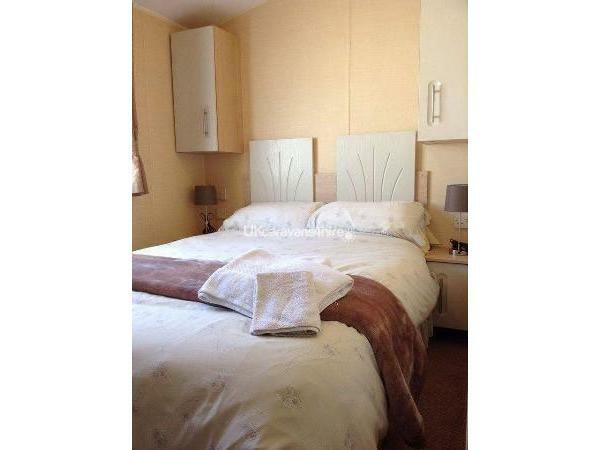 5 mins walk from beach, Asda not too far away, bus stops right outside park entrance and a short drive away from nearby towns such as Rhyl, Abergele, Prestatyn, Colwyn bay and Llandudno. Sonnys family fun pub right outside the entrance which caters to all ages, children and families welcome all day and night with entertainment and karaoke. Restaurant inside also. 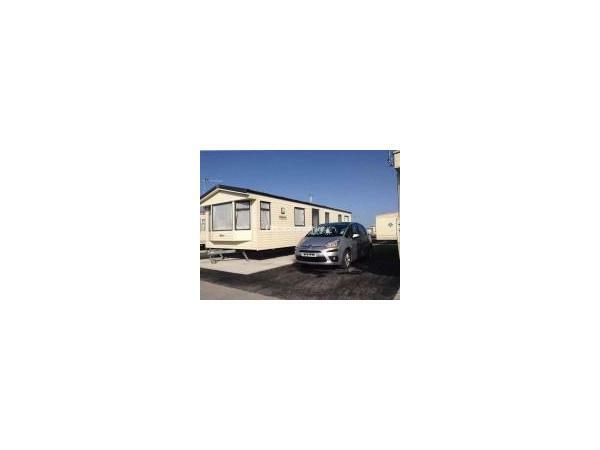 Site is next door to Winkups and opposite across the road is Tir Prince funfair, market and giant carboot, Knightly's funfair about 5 to 10min walk away too. 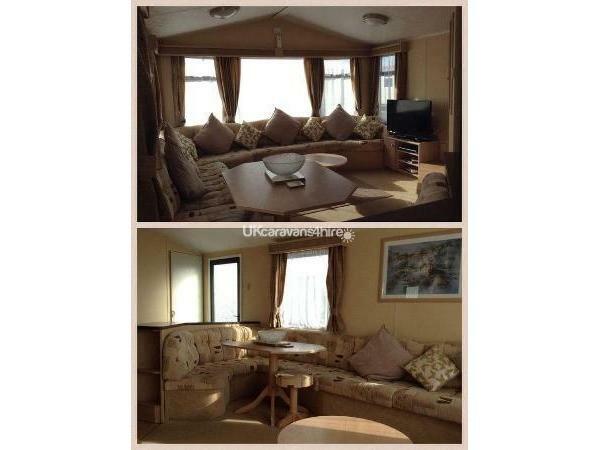 The caravan is a modern 3 x bedrooms, 2 x twin beds and a double. 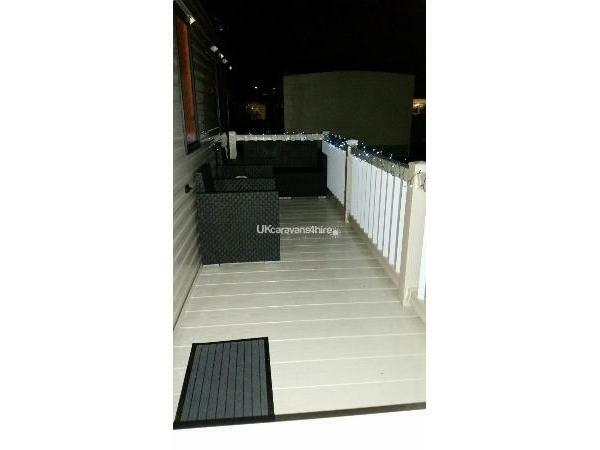 Large veranda with outdoor seating. 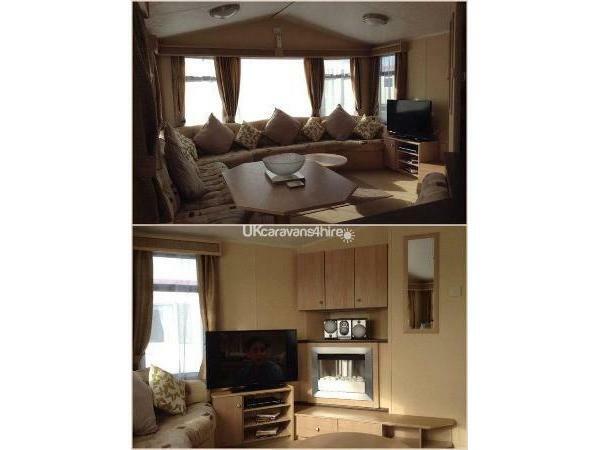 Large 42 inch flat screen TV, DVD player, radio CD player.